The need to post bail never comes at a convenient time. That’s why Premiere Bail Bonds (800-662-0056) has developed a quick and convenient process to help you post a bail bond in Santa Monica with as little stress as possible. A California-licensed, family-owned bail bond agency, we’ve been serving the Santa Monica area for 11 years. You can rely on our expertise and experience to help you post bail in Santa Monica as easily as possible. When a person is booked at the Santa Monica jail, they may be eligible for a bail bond. If you’re not familiar with the bail bond process in Santa Monica, you might find it confusing and time-consuming. When you call Premiere Bail Bonds toll free at 800-662-0056, you eliminate all the extra time and confusion. We will obtain all the information you need – e.g., bail amount, booking number, charges, court date, etc. – to post bail for your friend or family member in Santa Monica. In most cases, we can take your details over the phone or fax. We are available to answer your questions any time, 24 hours a day, toll free at 800-662-0056. Premiere Bail Bonds offers convenient payment plans and we accept all major credit cards (Visa, MasterCard, American Express and Discover). Don’t make the bail bond process in Santa Monica any more difficult or stressful than it needs to be. 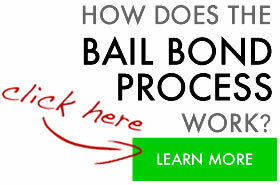 Call Premiere Bail Bonds any time at 800-662-0056 and we will help you through the bail bond process in Santa Monica. For more information on bail bonds in Santa Monica, call Premiere Bail Bonds at 800-662-0056. Santa Monica Jail serves as a substation for L.A. County Jail. The sooner you call us the quicker our Agents can put together a solution that works for you and your loved one. We have Agents standing by 24 hours a day, 7 days a week. We are hallways happy to help in any way we can!